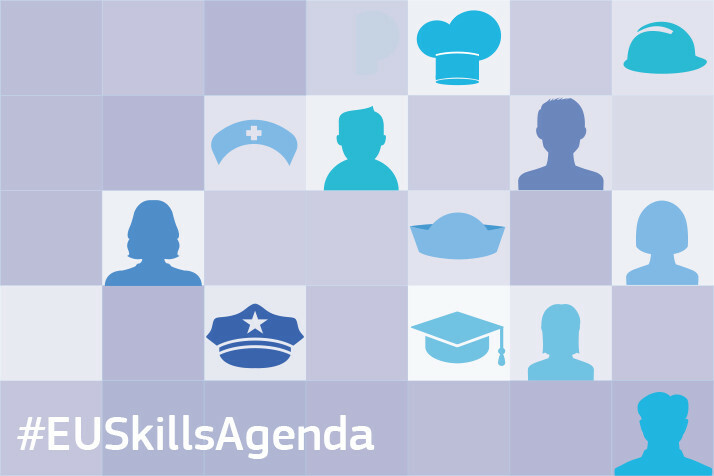 On 10 June 2016, the Commission has adopted today a new and comprehensive Skills Agenda for Europe. The aim is to ensure that people develop a broad set of skills from early on in life and to make the most of Europe’s human capital, which will ultimately boost employability, competitiveness and growth in Europe. Increasing skills levels, promoting transversal skills and finding ways to better anticipate the labour market's needs, including based on dialogue with the industry, are therefore essential to improve people's chances in life, and support fair, inclusive and sustainable growth as well as cohesive societies.To help tackle skills challenges, the Commission will launch 10 actions which will address these issues and make skills more visible and improve their recognition at local, national and EU levels, from schools and universities to the labour market.